The timetable for the West African Senior School Certificate Examination, (WASSCE), has clashed with that of the Joint Admissions and Matriculation Board (JAMB). 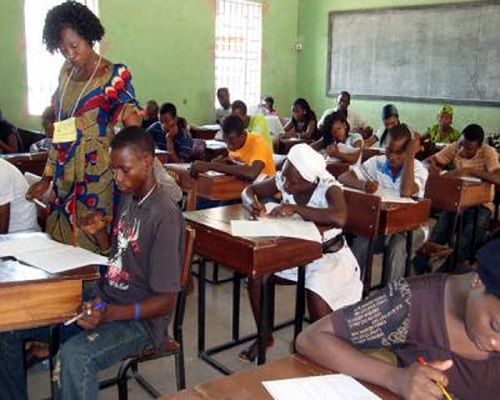 But on Tuesday JAMB assured candidates sitting for this year’s Unified Tertiary Matriculation Examination (UTME) that they would not be denied the opportunity of sitting for the examination. Dr Fabian Benjamin, Head of Public Relations, JAMB, gave the assurance in an interview with the News Agency of Nigeria (NAN) in Lagos following fears concerning a clash in the timetable of West African Senior School Certificate Examination (WASSCE) and UTME. According to the timetable, WAEC students who are expected to write Animal Husbandry on April 11 by 9:00 a.m. are also expected to sit for the UTME on the same day. The affected students are those expected to write Animal Husbandry in the 2019 May/June of WASSCE for school candidates, which begins on Monday across secondary schools in the country. At least 1.8 million candidates are expected to write this year’s UTME, while over one million students also registered for the May/June of the WASSCE across the country. Bemjamin explained that WAEC starts with practicals and it has so many sessions for its practicals. “People have been talking about clashes between WAEC and JAMB timetable. “We (JAMB) have met with the WAEC management and WAEC has just given us an assurance that there is no clash; that people don’t just understand the modus operandi of the timetable especially as it affects the practicals. “The WAEC Practicals are in sections. There is no clash at all and that allegation of a clash in timetable is unfounded and baseless. “WAEC has given us an assurance that it has accommodated all the fears of candidates. That the practical subjects are scheduled in sections in such a way that there would not be any clash at all. “We want Nigerians to know that WAEC has actually accommodated the fears of candidates. “ This is as a result of the meeting between the Head of the National Office of WAEC, Mr Isaac Adenipekun and JAMB Registrar, Ishaq Oloyede.